The Tata group has offered to buy out Japanese telecom major NTT Docomo’s 26.5 per cent stake in the loss-making Tata Teleservices for Rs 23.34 a share, after the finance ministry and the Reserve Bank of India rejected the group’s application to buy back Docomo’s shares at the pre-agreed valuation of Rs 58 a share. The 60 per cent lower offer was made on the basis of a fair market value determined on June 30, 2014. Docomo has now moved the London Court of Arbitration to get a valuation of Rs 58 a share, which translates into Rs 7,200 crore for its entire stake in Tata Tele. For Docomo, it is a double-whammy. First, a 60 per cent lower valuation means the value of its stake in the Indian company will come down to that extent. And second, a depreciation of about 30 per cent in the value of the Japanese yen against the dollar since 2008 implies the company will take home only a fraction of its total investment in Tata Tele. At Rs 23.34 a share, Tata Tele is valued at Rs 11,000 crore (Rs 110 billion), against the pre-agreed valuation of Rs 27,000 crore (Rs 270 billion) at Rs 58 a share. When contacted, a spokesperson for Tata Sons, the holding company of the Tata group entities, declined to comment on the matter. In November 2008, Docomo had invested $2.2 billion in Tata Teleservices, at Rs 117 a share, with an understanding that it would get at least 50 per cent of its acquisition price if it exits the Indian company in five years. However, the financial metrics of Tata Teleservices have continued to decline since the acquisition -- the company’s net worth was completely eroded two years ago. It made a loss of Rs 3,846 crore (Rs 38.46 billion) on a revenue of Rs 10,944 crore (Rs 109.44 billion) for the financial year ended March 2015. Its losses were mainly driven by a high finance cost on account of a Rs 27,082-crore (Rs 270.82 billion) debt as of March this year. “The liability, if any, to the extent of the price of the difference in the price sought by Docomo and the fair market value is dependent on the outcome of the arbitration and prevailing exchange control regulations,” Tata Steel, which is an investor in Tata Teleservices along with other Tata group companies, informed its shareholders in its annual report for 2014-15. 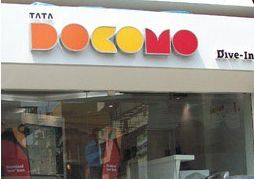 According to its agreement with the Tata group, Docomo had the right to sell its stake if performance targets were missed. After Tata Tele failed to deliver, Docomo announced in April last year its plan to exit the joint venture by selling its 26.5 per cent stake. By the virtue of its right of first refusal, Tata Sons agreed to buy out the Japanese company at Rs 58 a share, in line with the shareholders’ agreement, and filed an application with RBI for a special permission to pay Docomo a price higher than the current fair value of Tata Tele shares. In January this year, RBI recommended that the finance ministry grant the request. But the ministry did not permit the transaction as the current laws did not allow a pre-determined valuation. In a note to the finance ministry, RBI had said the Tata group should be allowed to buy back Docomo’s stake at a pre-determined price of Rs 58 a share, despite the company’s valuer, Price Waterhouse, estimating the stake at Rs 23.34 a share -- 60 per cent lower. “The larger issue here is of fair commitment in contracts, in relation to an investment, and a downside protection of an investment rather than an assured return. "Besides, our relationship with Japan in terms of foreign direct investment flows is also a matter to be kept in view. "Therefore, we are inclined to accept the (Tata) proposal,” RBI had said.